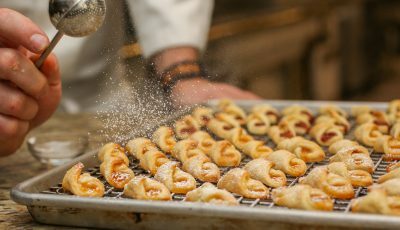 Sneak a peak at this year’s March 2 parade at the upcoming brunch Sunday. 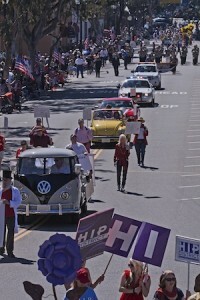 The 47th Annual Laguna Beach Patriots Day Parade will present this year’s honorees at the Honorees Brunch from 11:30 a.m. to 1:30 p.m. on Sunday, Feb. 3 at Tivoli Terrace. The honorees include Capt. Jason Ehret as grand marshall, an active duty member of U.S. Navy Seals, and a graduate of Laguna Beach High School, class of 1984. The public is invited to the brunch. Cost is $25, and RSVP is requested. For more information or reservations call Sandi Werthe at 949-494-6016 or via email at [email protected]. Conservancy speaker describes the results of stitching together a patchwork of plots. 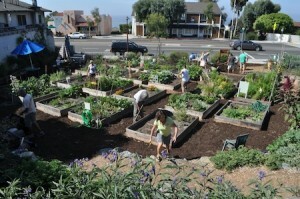 Ann Christoph and fellow gardeners promise to share their secret to transforming vacant land into a vibrant community garden as guest speakers at the Laguna Canyon Conservancy dinner meeting, Monday, Feb. 4 at Tivoli Terrace, 650 Laguna Canyon Rd. The event starts with a no-host bar at 6 p.m. and dinner at 6:35 p.m. Reservations are required, 949-499-1224. Adapt 2 It Home Medical Supplies will hold Donation Day for gently used medical equipment on Thursday, Feb. 14 from 11 a.m. to 2 p.m. at 24102 El Toro Rd. in Laguna Woods. Adapt 2 IT has partnered with United Cerebral Palsy and Wheels for Humanity to redistribute equipment to the needy. For further info call 949-457-1600. “Living with Integrity: Navigating Everyday Ethical Dilemmas,” a new Jewish learning course begins at 7 p.m. Wednesday, Feb. 6 at the Chabad Jewish Center, 30804 S. Coast Highway. Rabbi Eli Goorevitch will conduct six sessions in the course designed to appeal to all levels of Jewish knowledge. For more information and to register, visit www.myjli.com. Treasurer Laura Parisi represented Laguna Beach at the League of California Cities’ first policy meetings of the year in Sacramento. Parisi serves on the league’s revenue and taxation committee, which she says is integral to the league’s policy-making process. “Without these meetings our influence on the state’s decisions would be greatly diminished,” said Parisi. About 400 city officials add their collective expertise, wisdom and opinions to the policy debate that is the foundation of league policy. Laguna Beach is now accepting Community Assistance Grant applications for the coming fiscal year. The deadline is Friday, Feb. 22 at 5 p.m.
City Council will award grants to assist local non-profit organizations in funding new projects or expanding services within the community. 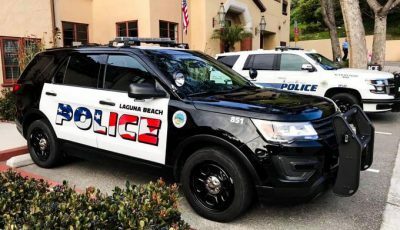 For more info: Visit www.lagunabeachcity.net- under City Hall and Community Services. 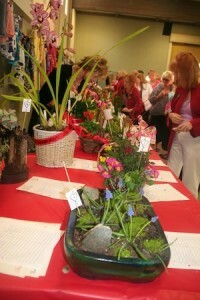 Laguna Beach Garden Club is to host their annual “Container Silent Auction and Fundraiser” at 9:30 a.m. Friday, Feb. 8 at Laguna Presbyterian Church, 415 Forest Ave., in Tankersley Hall.